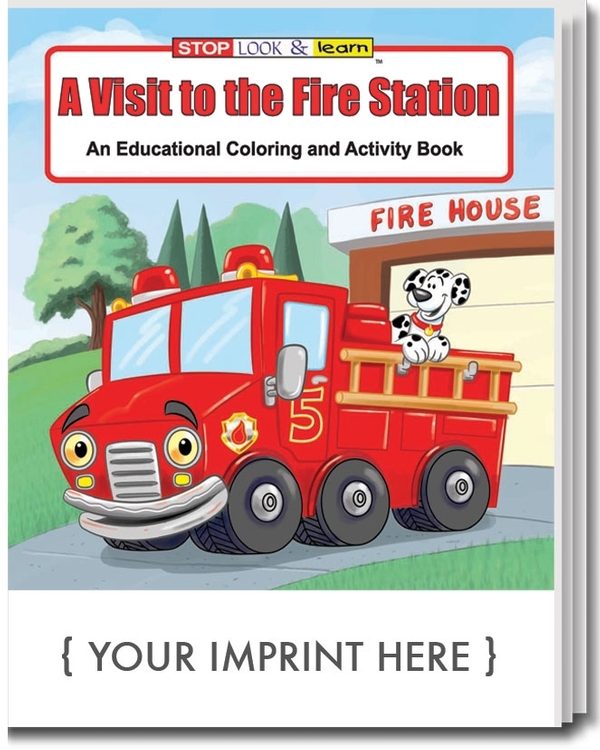 your kids will have a blast and learn about Fire Safety with 16 pages of coloring, games and activities honoring this noble profession. 5 alarms of fun! Recommended for children ages 3 and up. Ideal for firehouses and fire departments, schools and children's educational programs. Price includes a one color imprint in standard imprint color on coloring book. Imprint area: 7" X 1.75" Optional imprint on crayon box is also available.